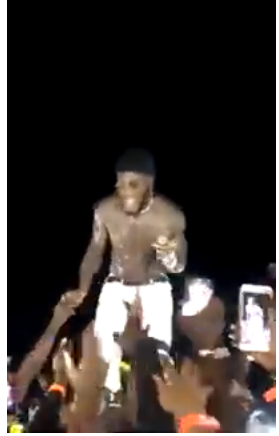 Nigerian international Burna Boy on Saturday 30, kicked a fan who tried to steal one of his rings, while he was on stage performing. 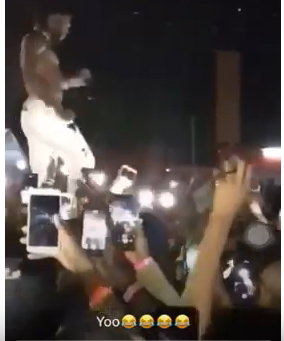 The singer was performing at Lusaka showgrounds in Zambia. 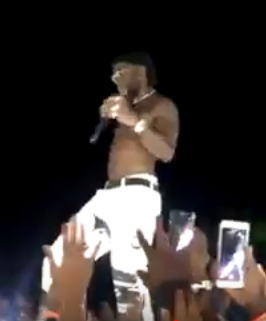 He gave an electrifying performance leaving his fans yearning for more. 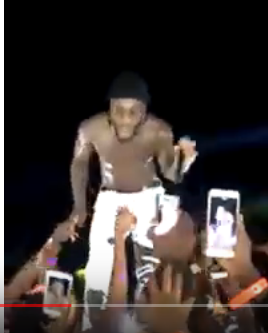 While he was busy performing his hit song Gbona, a fan, whose face was not shown was trying to remove one of his rings. But OluwaBurna stays woke. 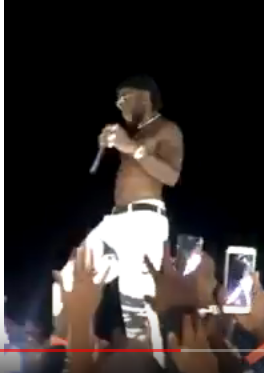 He kicked the fan before shifting to the other side of the stage to entertain the crowds. 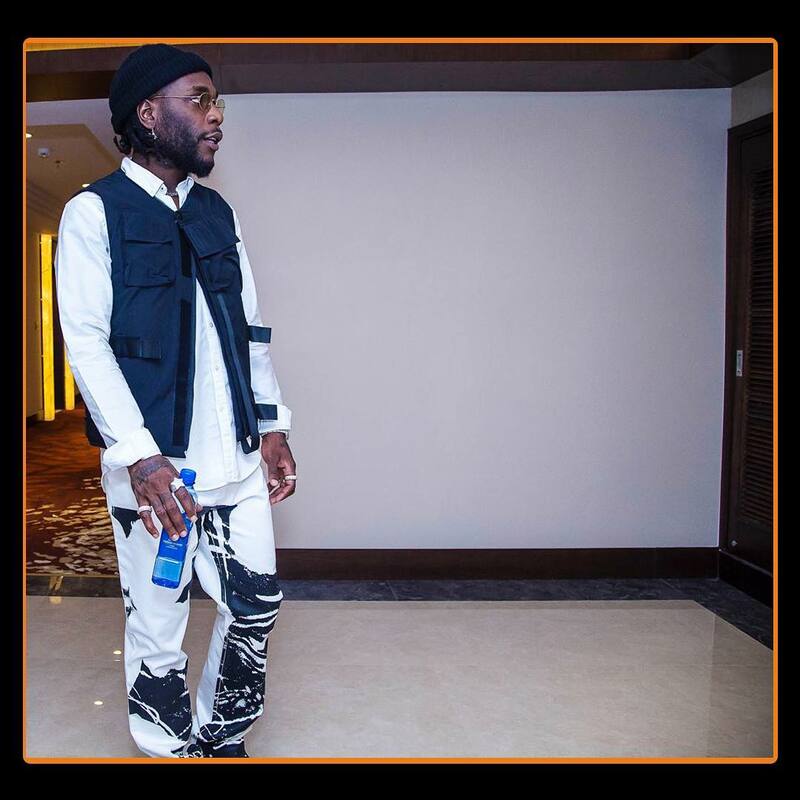 Burna Boy took to social media to thank his supporters for making it an amazing show. 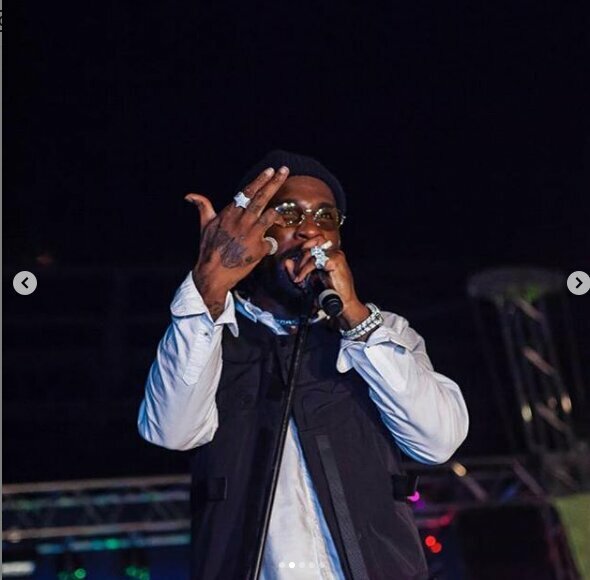 Zambia, you showed out last night!! Thank you!! 轢 #africangianttour.